Eloise Goodreau died Nov. 7 at the age of 88 in her home in Houston, Texas, surrounded by her family. A memorial was held Nov. 18 in Dallas, but the doll world will sorely miss and long remember Eloise “Mom” Goodreau. She was a familiar face in the doll community for decades. Her twinkling blue eyes, gray hair, and welcoming smile was a familiar sight at major doll events, invariably in the company of her daughters, Mary Goodreau, Annette J. Goodreau, and Paulette A. Goodreau, gaining them the nickname The Goodreau Clan. It was Eloise who first embraced dolls as a collector, and encouraged her daughters to follow suit. Perhaps it was inevitable that the family would eventually evolve from collecting to creating dolls, which they did in 2005 when they formed Goodreau Dolls LLC, with Annette as managing member, Paulette as design manager, and Mary and Eloise, helping whenever and wherever they were needed. Earlier in life, Eloise worked as a registered nurse, and raised her six children in Michigan as a single mother. Her daughters fondly remember her as an unconventional and inspiring mother, who encouraged them to pursue their individual talents and exposed them to every opportunity to do so. Members of the doll community knew her as a beloved and cheerful advocate of the doll industry and the consummate fan of all things doll-related. She encouraged new artists, volunteered her time, and donated dolls and other items to raise money for charities, especially with regard to animal welfare and breast cancer. 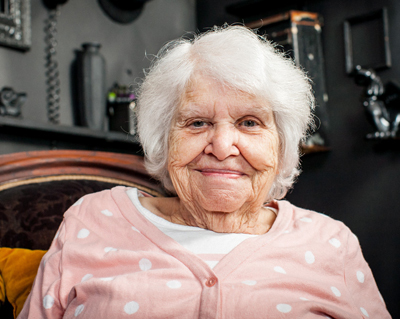 In her later years, she remained a steadfast supporter of doll events and continued to attend her favorite shows, including the Modern Doll Collectors Convention, IDEX, and United Federation of Doll Collectors, even though she was confined to a wheelchair. It is a testimony to how well “Mom” was known and loved in the extended doll community that for her 85th birthday, Eloise received more than 500 birthday cards and presents from artists and collectors around the world. PreviousSanta Sanitizer: Is there a clause for germ exemption when you’re handing out dolls and bears? 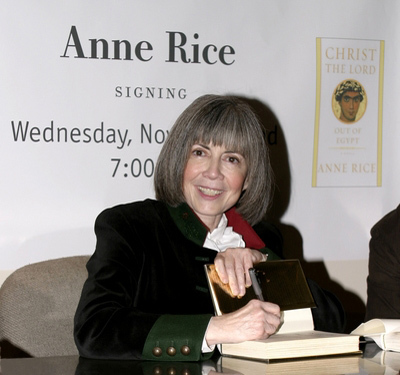 Anne Rice’s Doll Auction: Is it a stake through her heart?